Every year I see 'The Glamour Beauty Edit box' and normally by the time I've got my act together to buy one, they've sold out and all gone. This year however as soon as I saw it had been launched on "Latest in Beauty", I was busy ordering mine as quickly as possible. On Saturday the little beauty arrived and I thought I would share with you what came inside. The box this year is jam packed with beauty products to try. One thing I can instantly say is that for £16.95 (free P&P) this box is a steal. The total value of all items is £86.15. There are many full size products that on their own cost more than the price for the whole box. So this is what you get inside. 1. The Crabtree and Evelyn nail polish £6. 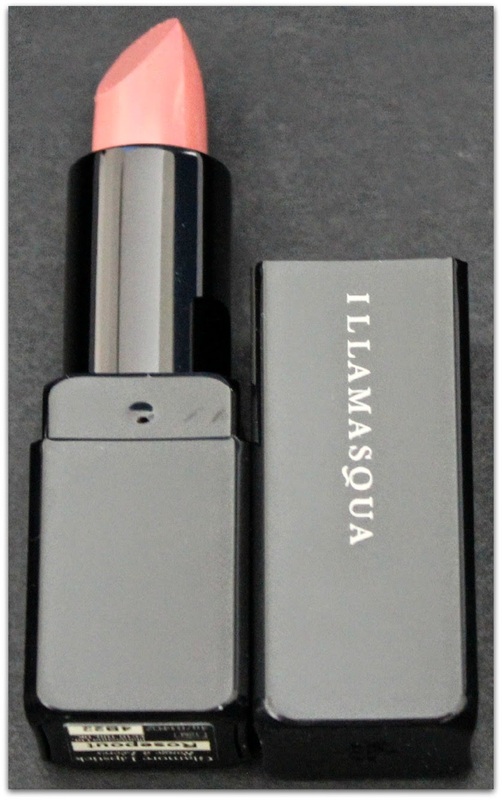 In the Glamour box it comes in two potential colours pink or red. I am pleased to say that I got Apple red, which is a lovely rouge colour when painted on. Crabtree and Evelyn do loads of other lovely polish colours and for a limited time you can get two for £6. Get your skates on. perfect for me who is a little bit pasty, it retails at £7.99. 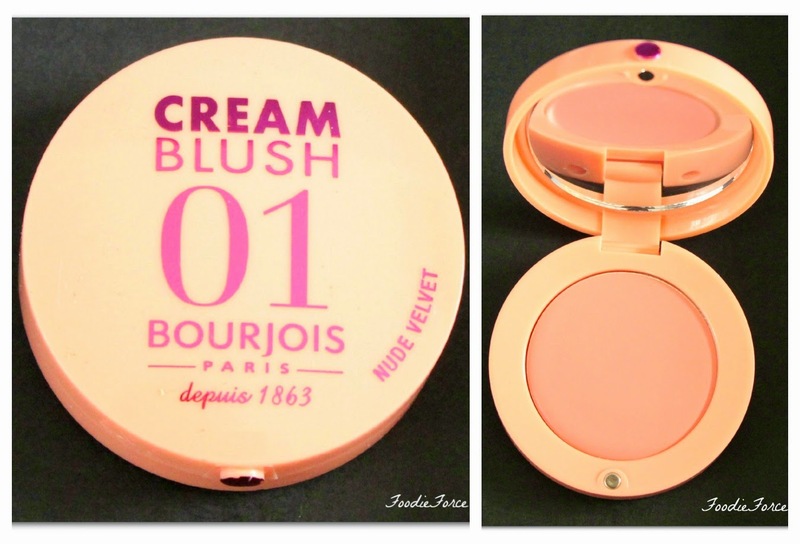 It is a cream blusher which I haven't tried before but I am a definite convert. To apply it I used the real techniques stippling brush which makes applying it a joy. little beauty hasn't even launched yet. 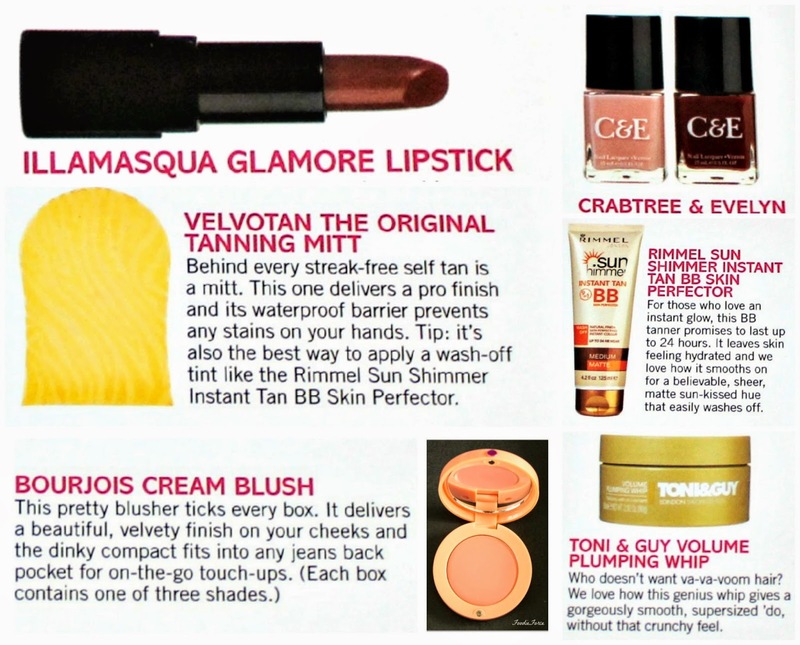 This lipstick when applied is creamy in texture, lots of lipsticks dry my lips out making me lick my lips. It also has good staying power when applied for a night out the colour lasts. I definitely will be buying one of these again they have some wonderful colours on their site. 4. Magnifibres Brush- On False Lashes £18.50 - £21. I have tried falsies only once I loved the look they really made my eyes stand out. However taking them off was a different story, torture beyond belief. I tried everything oily eye makeup remover, but they simply would not budge. I have to admit that there were a few tears and shouts of agony before the little buggers eventually came off, along with a few of my lashes with them. 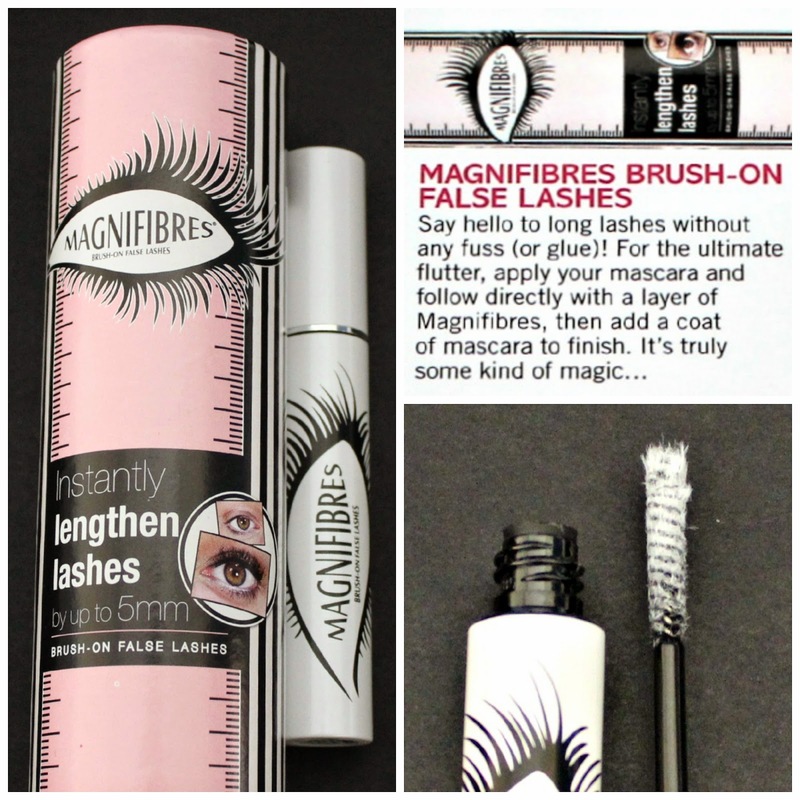 So when I saw Magnifibres which claim to instantly lengthen your lashes I was keen to give it a go. Overall it has definitely added volume to my lashes and additional length. 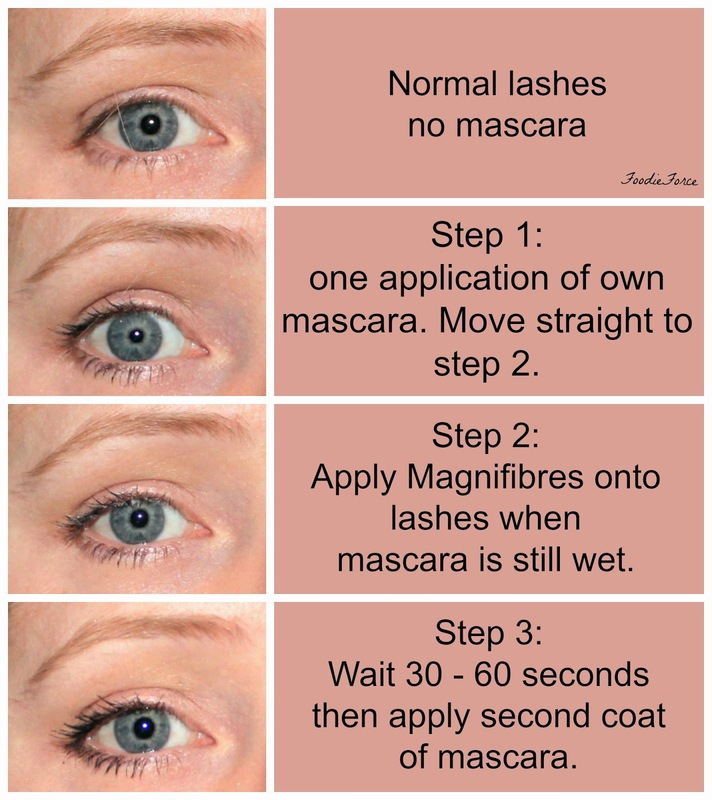 It is like having falsies on however due to the fibres, you are aware of your lashes, but probably much kinder to your lashes with no glue and tugging to remove them. I can't wait to use it on a night out. 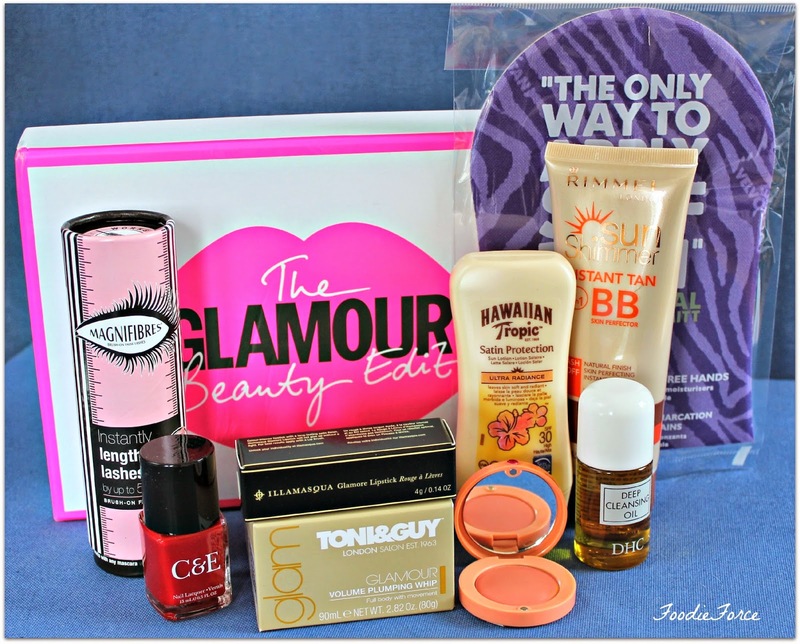 Overall a superb box from Glamour that allowed me to try new items and the best bit at a really good price. 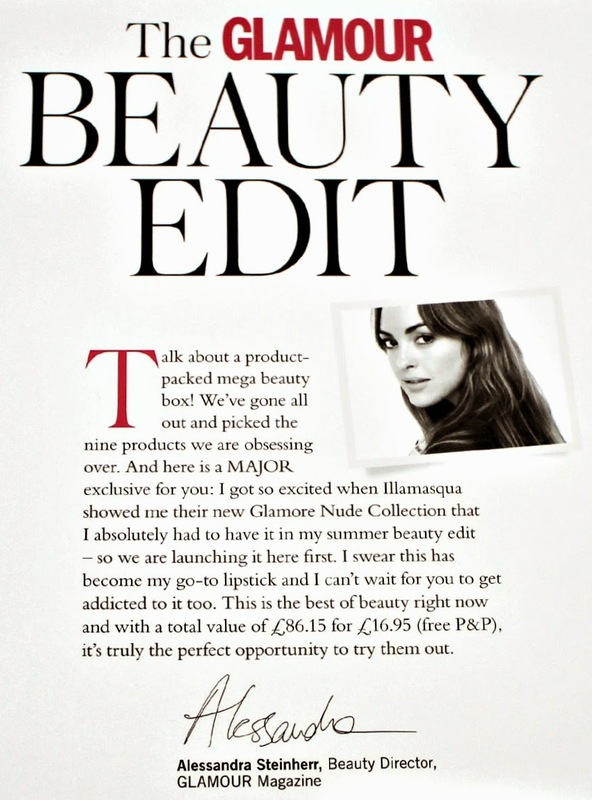 Is there anything in the Beauty Edit that you would want to try? If you had one beauty product for your dessert island what would it be? Oooh, that lipstick is a lovely colour! 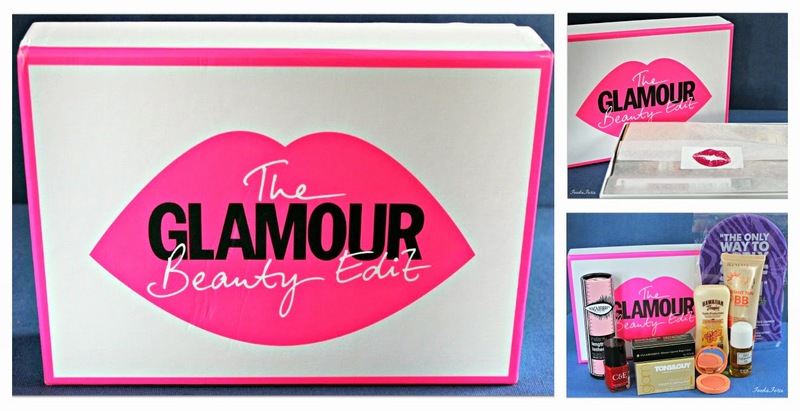 Glamour in a box sounds like my sort of thing! I've never heard of this before, sounds like a great value for money box! I'm a little jealous. I've not heard of this before! Looks so cool! is it only yearly? I want one!!! What a fun box. At first I thought you got a tarte blush. The packaging looks very similar. The lipstick looks cool and I've never tried a fiber mascara before. I've heard of them here and there. The pictures you provided on the mascara was very helpful.